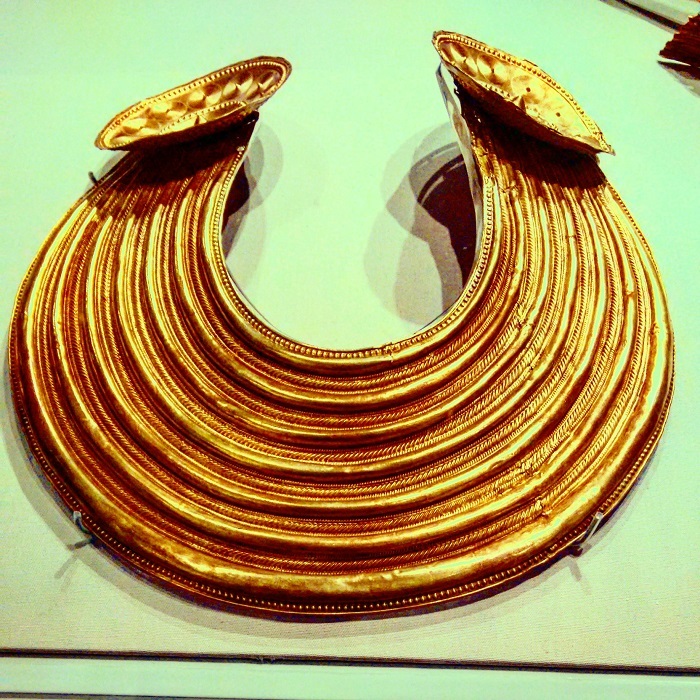 The Glensinsheen Gorget (collar) is considered to be among the finest gold ornaments ever produced in Ireland. It dates to the Bronze Age and is thought to have been created between 800-700 BC. It was discovered in the Burren at Gleninsheen, Co. Clare by a young boy out with his dog. 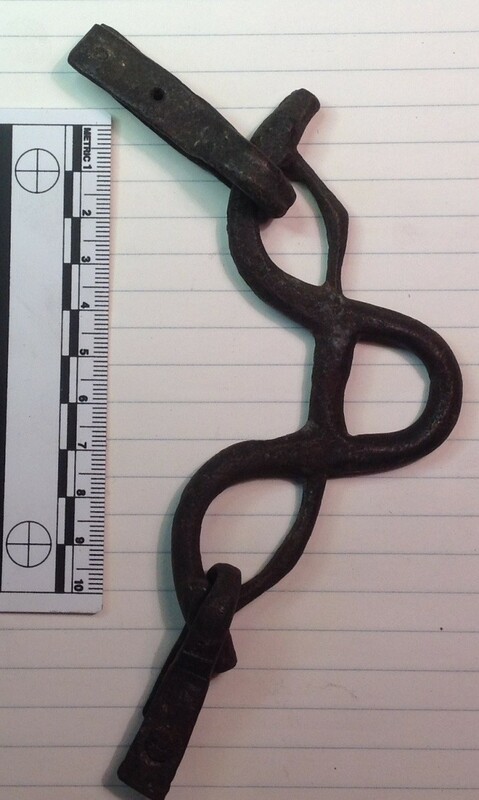 He spotted ‘something’ in a fissure (or ‘grike’) between two areas of limestone pavement (known as ‘clints’) and retrieved this treasure. Unfortunately, not everyone was as enthused with his discovery and, thinking it was a piece of coffin furniture, he was forbidden from bringing it inside his home. 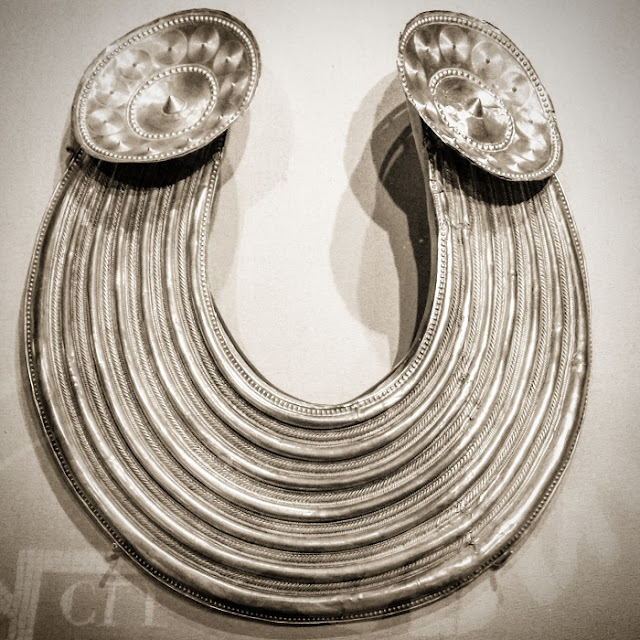 It languished under a bush for a number of years before it was identified as archaeological and was passed on to Adolf Mahr, then head of the National Museum of Ireland. 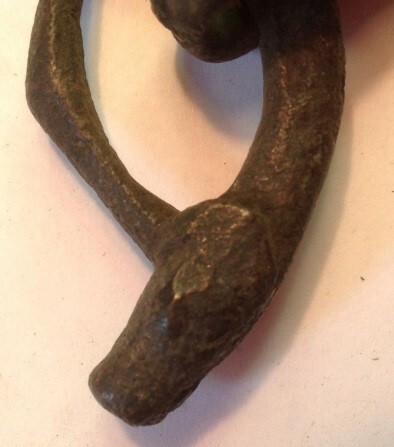 My good friend B G Scott is researching Iron Age horse harnesses. He is currently looking for parallels to the cheek pieces illustrated below. Please feel free to share this with friends and colleagues who may be able to help. You may either contact him directly, or all messages/comments on this blog and other social media outlets will be passed back to him. Thanks to all who can assist on this - it is much appreciated. The cheek piece shown in these rather poor pictures is one of a pair, unprovenanced except to ‘Ireland’. The arms end in simple animal heads, and there is no decoration anywhere. It seems likely that the two strap tags do not belong with the piece. I have not been able to locate a parallel to date, and would be most grateful if any colleagues have come across anything similar. All assistance gratefully received and fully acknowledged. The National Museum of Ireland has many wondrous, beautiful, and rare objects on display. Just think of the spectacular Bronze Age gold display, the Ardagh Chalice and the other amazing artefacts in the Treasury, the prehistoric pottery, along with the Viking and medieval material upstairs. 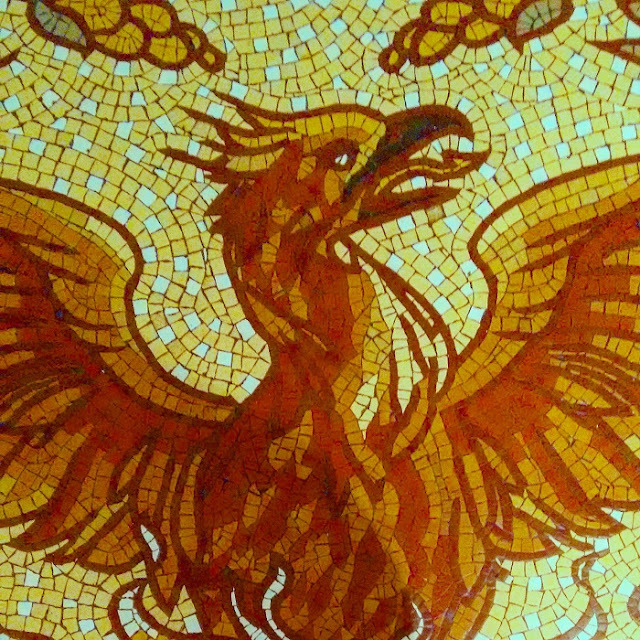 Most people are unaware that the museum also boasts a mythological rarity … their very own phoenix. 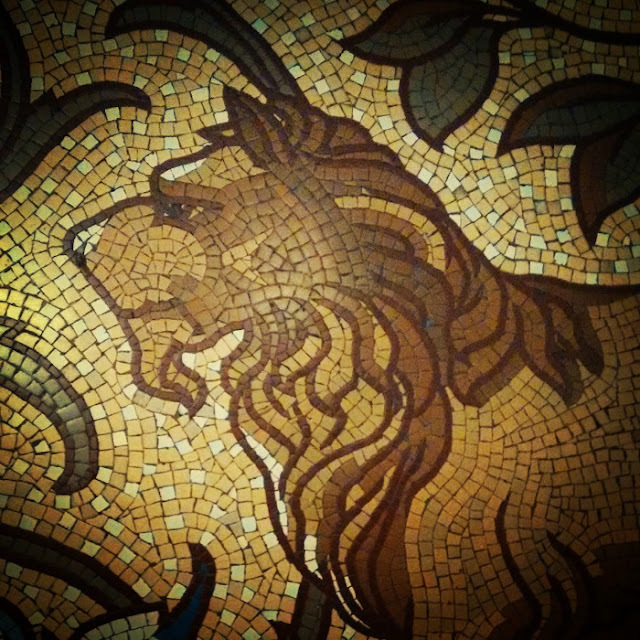 This mosaic gem is near the very Dandy Lion on the ground floor, near the centre of the Bronze Age gold exhibit. I’ve long thought him a particularly arrogant bird, rising up with flame-feathered wings outstretched and an imperious look in his eye. On more recent consideration, I’m not sure if he’s not just using a cloak of superiority to mask his discomfort at having an especially barbed and sharp tongue … it must be the source of much distress and suffering. Go visit the museum & spare a thought for the phoenix. The National Museum of Ireland at Kildare Street, Dublin, is simply stuffed with treasures – room after room and case after case of the very finest and most important artefacts from this island. When faced with such a rich and beautiful selection to catch your intellect and imagination it can be easy to miss interesting little treats hiding in plain sight. On my last visit to the Museum, I renewed my acquaintance with this rather dashing mosaic lion. He’s easy to miss in the Bronze Age gold display, but he’s certainly worth the time to notice and appreciate. I particularly like the jaunty twist of his goatee and the calm, assured look in his eye.